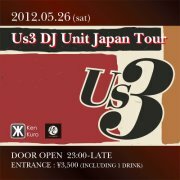 KenKuro and Beyond Exposure proudly present Us3 DJ unit from London at Peter, The Peninsula Tokyo. Us3 is widely known for its legendary "Cantaloop (Flip Fantasia)" which sampled Harbie Hancock's "Cantaloup Island". It entered the US top ten and was included on Hand on the Torch, the first Blue Note album to achieve Platinum status (1,000,000 sales) in the US. Adding special glamor is 2012 SS collection show by BCBGMAXAZRIA, a fashion label from L.A. Their dresses are loved by Hollywood celebrities including Sharon Stone, Beyonce Knowls, Halle Berry and Alicia Keys. BCBGMAXAZRIA is the official supplier of 2012 Miss Universe Japan. The night will be full of entertainment as we will have two DJ stations with 8 additional DJs and a live show by Miou, who has performed in various cultural events around the globe. Us3 was founded by London-based Geoff Wilkinson. Their album in 1992 that included “Cantaloop”, sampling the famous number by Harbie Hancock, became a global phenomenon and achieved the platinumstatus for the first time in history for Blue Note albums. Geoff’ s style to incorporate elements of Latin music, Bass & Drums, Neo Soul and Hip Hop keeps evolving and hard to be placed in one category. Their latest album “Lie, Cheat & Steal” was released in 2011 and ranked No.5 best album of 2011 on influential US website www.RapReviews.com. A gig at The Peninsula will be by DJ Unit of Us3; the leader Geoff and DJ First Rate. 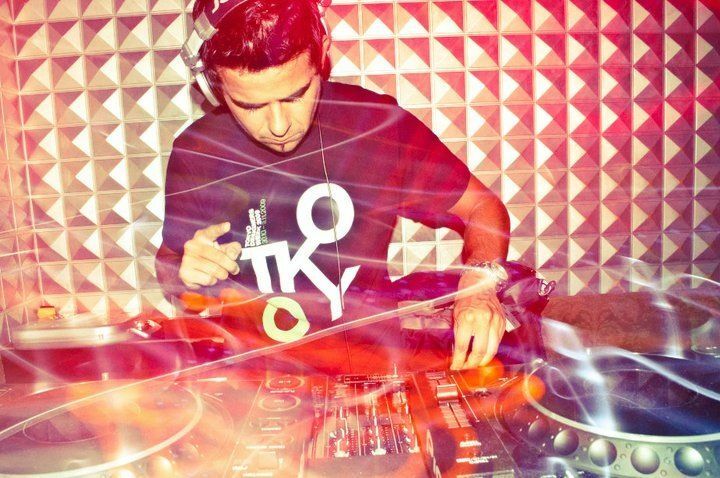 DJ First Rate was a member of legendary 4-men crew, the Scratch Perverts that won the first team competition at DMC World Championship. His acrobatic play with “god’ s hands” is not to be missed. All female guests will receive a special coupon. If you bring this coupon to BCBGMAXAZRIA Ginza shop and make any purchase you can get a special clutch bag for free!